What a city! There is nothing like it anywhere else in the world, some may have compared it to Vegas, but boy, Vegas ain’t got nothing on Dubai! 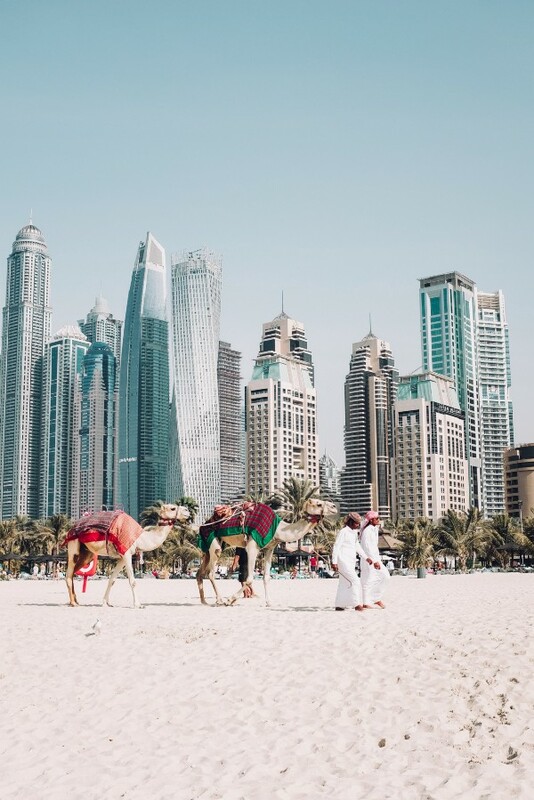 First, before we go on about Dubai´s culture and blockchain plans, we must first talk about the United Arab Emirates (UAE) where Dubai´s Emirate is established. Many think Dubai is a Country, but it is an Emirate in the UAE. UAE´s population in 2013 was 9.2 million of which 1.4 million are Emirati Natives and 7.8 million are emigrants. Emiratis form about 20% of the total population, making UAE a residence to one of the world´s highest percentage of immigrants, mostly Indians and Pakistanis. Dubai has the highest population growth rate in the world, going from 183,000 people in 1975 to 1,67+ million people today. It is the largest city of the UAE, built in the middle of the desert less than 50 years ago it started as a city of aggressive and extreme developments, and it has kept the pace and identity ever since. According to Alux.com, it is considered one of the safest cities in the globe due to the strict laws and high morality of its community. Think it may not be that strict? When in Dubai try swearing in public, and you could end up in prison for up to one year with a fine of USD$2,723. The city is one of the focal points of the world especially in the Middle East, well-known for its oil production of 50,000 barrels daily, luxurious real-estate, and it´s the famous reputation of being a TAX-FREE region. A contemporary cosmopolitan atmosphere, the most luxurious city in the world, yet, it has managed to proudly preserve its Arabian culture from hundreds of years ago clearly seen in their attire, customs, and gastronomy. A city of lights, camels, fancy cop cars, skyscrapers, beaches, Lamborghinis, lavish homes, deserts, 7-star hotels, and luxurious real-estate, home of the tallest building in the world, Dubai is considered a global city, a primary node in the global economic network; it is the business hub of the Middle-East, and a safe haven for newlyweds. This place has it all, literally. The oil revenue supported the acceleration of the development of the city, but Dubai´s oil reserve is limited, and levels are low at the moment, so the city has been investing in inviting startups from all over the world to make Dubai their home. They are also investing in bringing in more tourists and even building a brand new recreational park that happens to be two times larger than Disneyland called Dubailand. Disneyland actually declined the proposal of building one in Dubai, so they took matters into their own hands and started building their own: a 65 billion dollar project. That´s Dubai people! Dubai is nicknamed the city of the future, and just by one peek at it you will understand why. It plans to have flying cabs, autonomous vehicles, robot cops, and to go paperless by 2020! It is focused on becoming the world´s leading blockchain powered government. • Government Efficiency: in the public and private sector blockchain will enable a paperless layer for all city´s transactions. • Industry Creation: a system to enable the creation of new businesses using blockchain technology. • International Leadership: Blockchain will open a platform with more safety, security, and convenience for international tourists, organically generating more tourism. 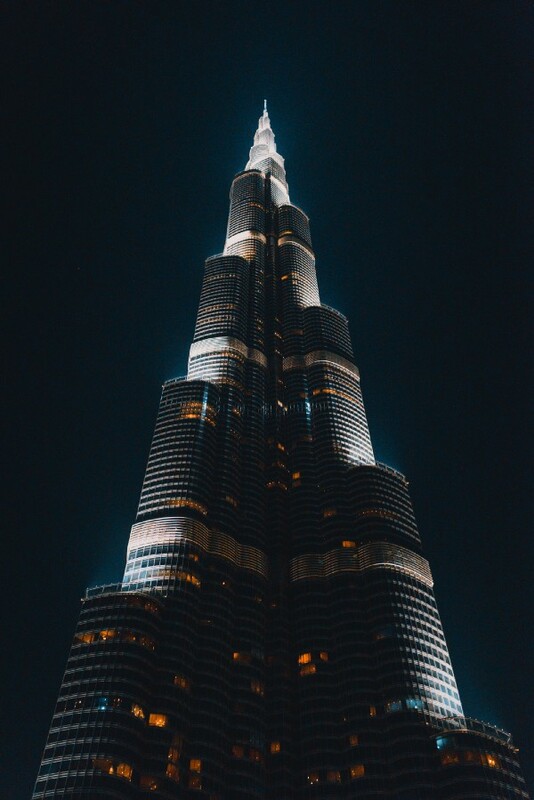 The Dubai Emirate government wants all visa applications, bill payments; license renewals accounted for 100 million documents each year to be transacted digitally using blockchain. Blockchains are about to become the norm much faster than we expected, at least in Dubai it is!